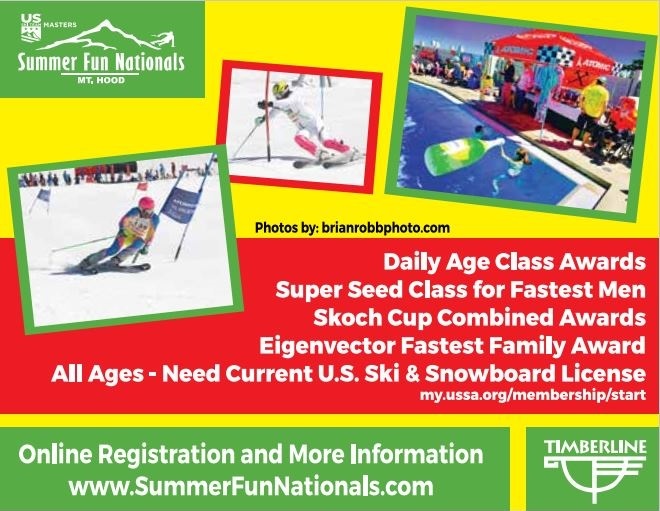 Camp suggestions tab is found on www.summerfunnationals.com home page at the top. This action filled race weekend starts off Friday afternoon with a welcome party and racer check-in at Willy Scroggin's new house across the road from Ice Axe Brew Pub. The lifts open on the Palmer Snowfield at 7:00 am, allowing just enough time for the two, 1-mile chairlift rides and inspection before the 8:30 am first run start. 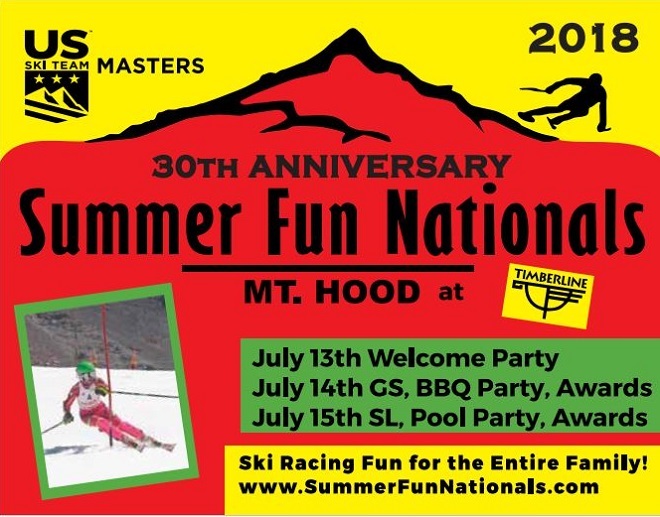 Saturday afternoon festivities continue in the Day Lodge at Timberline with kegs of beer and root beer, BBQ, awards, raffles, silent auction, and many, many giveaways. The weekend finale on Sunday, a combined awards and pool party, is over by 2:30pm, leaving time enough to catch a plane for home from PDX. Many racers show up early for a few days' race training at a camp to warm their legs up for the race. Some train for just a day or two of warm up, while others just show up and race. No day of race entries. Must have 2018 USSA card.